The point of the initial complaint was to draw attention to the patronising attitude of the original staff member. By responding in a similar way, Virgin made it appear as though that’s how everyone in their organisation thinks, although it was probably intended to be light-hearted. As you’d expect, the social media masses didn’t see it that way and condemnation swiftly followed, after which the tweet was deleted and replaced with an apology. Media outlets also picked up the story and interviewed Ms Cole adding to Virgin’s misery all the more. It’s doubtful the same tack would’ve been taken if the customer had called in to complain or done it in writing. Whoever took the call or responded to the letter would’ve been far more measured and taken the time and care to craft something more appropriate. 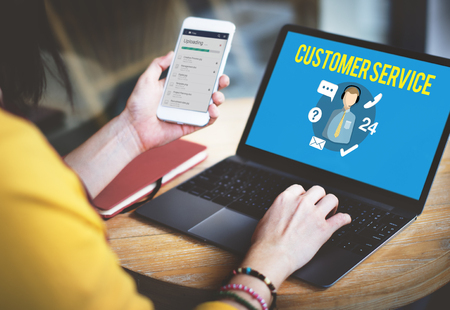 Social media offers organisations an instant way to talk to customers, so when they get in touch with you, you need to respond as you would to any other form of communication – politely, appropriately and helpfully. Of course, you can have a bit of fun and chat with the customer if that’s what they want, but don’t forget anyone online will be able to read what you both type, so don’t say anything you don’t want anyone else to see. People expect things to be sorted speedily on social media, but that doesn’t mean you have to give a final response straightaway. Ask the customer to send you a direct message so you can take the conversation offline. Say what you need to say upfront, and then offer this option so you can talk privately. If this isn’t working, you can then call or contact them again once you’ve looked into things or have more information to share. Customer service is perhaps the most important aspect of your organisation to get right. Social media can make it easier as long as you treat it in the same way as you do customer service by any other channel.